A place where you are welcome! A place where the scent of great coffee, fresh tastes, the best quality, the youngest atmosphere and the most friends await you. If you are looking for a place that is easy to reach from anywhere, either on foot or by bicycle, a place that is a perfect, peaceful venue for studying, surfing on the Internet or chatting with your friends, and where you can try seasonable tastes combined with your favourite coffee, then the best choice is a California Coffee Company shop. You can be sure you have found your favourite place! 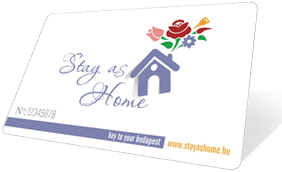 Would you like to sit by the Danube bank or are you in a hurry to meet your friends? Of course you do not have to miss your favourites, since you can take any of our products away, and you can even choose a trendy vacuum travel mug. You can enjoy everything in our cafés: tastes, experiences, piece, friends and happy moments. Find our cafés in the trendiest points of the city, following the well-known green and brown colours and the three coffee beans!